Let's talk about the small legacy of the HoMM2 development period. 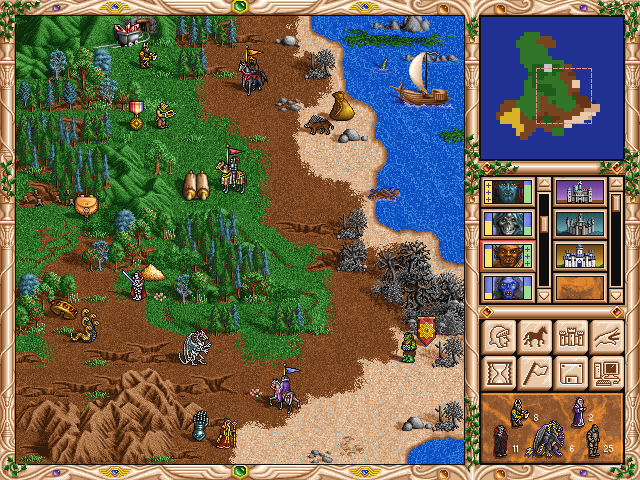 Although HoMM2 is clearly a straight upgrade of HoMM1 with a real lot of graphic solidarity and almost similar gameplay, there are some interesting aspects left, which deserve special attention. Some intermediate versions of graphics left on dead NWC artists' sites were saved by the community members and now are presented in this article. Besides graphics, there are also a few programming developments, rudiments of which can be found in the executable file. Fortunately, the Heroes 2 exe keeps some valuable information which can be gathered, like all function and variable signatures, which are available, in contrary to Heroes 3 where the developers did not leave us such a generous present. Have the current creature wait to take its turn until all the other creatures have gone. 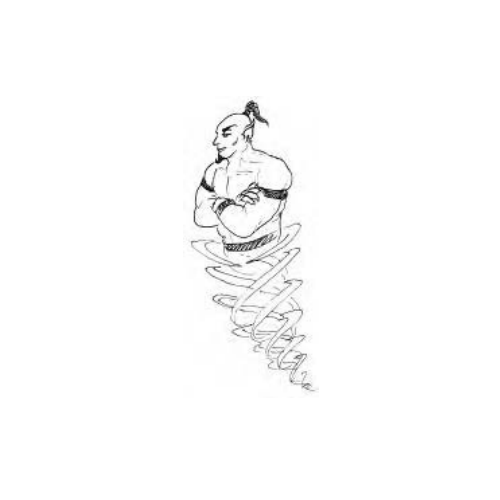 The creature does not lose its turn. Yes, you are not dreaming. This feature was planned in Heroes 2 as well. 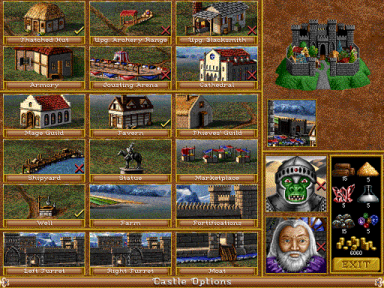 Early promo screenshots keep the graphics for the button, and it was even possible to re-implement the feature to the game back again. However, the computer is still not able to use it, so this thing is useful only for PvP multiplayer where human players would be able to enrich their battle tactics. Otherwise it will be too easy in the battles against AI. Those who want to try this even can download the utility (first link in the list). The installation process might take some mental activity, because the feature depends on the executable version (sw/pol, 2.0/2.1, russian/english). The button is not added by the patch, but the Wait feature is activated by the "W" button in battle. Probably, the most widely known beta content - the cancelled versions of the graveyard, looking more rudimentary. They are present in the game resources and even sometimes appear on random maps, but the map editor does not provide an opportunity to place them. This can be fixed by another fan-made patch. 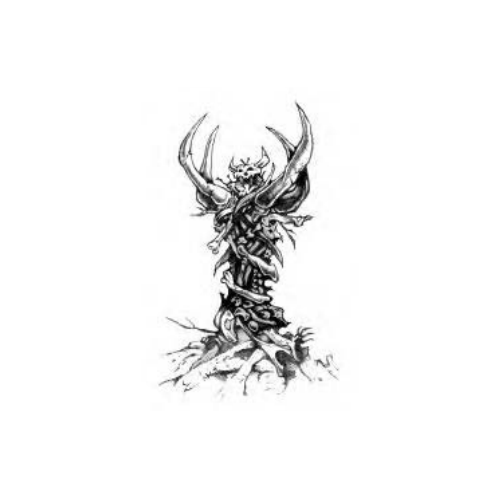 An unknown spell icon, which reminds of the Paralyze spell - probably, an earlier version. The icon is present in the game resources and is not used. Tracy Iwata: "...Yes, those are concept stages of the phoenix design, and yes this is a toad concept that was later replaced by the boar. 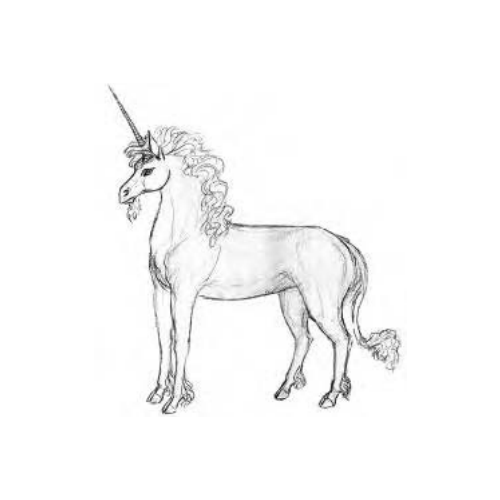 I was given a list of creatures to make and the game box size restrictions to fit them into. 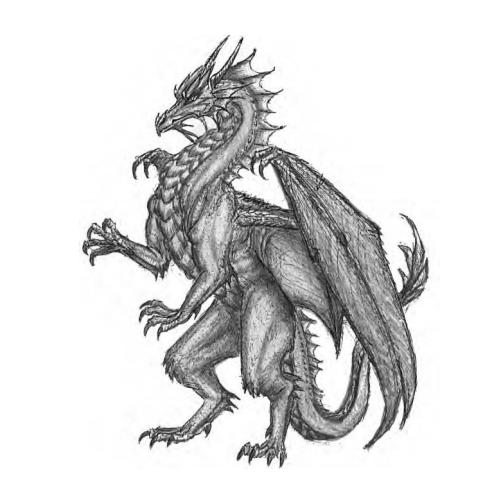 Some of the creatures went through modifications before approval, but I remember the phoenix being overhauled a lot. 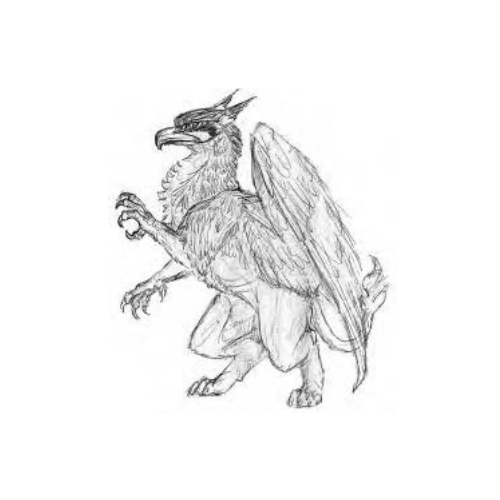 The first one looked a bit like a turkey and was also posed like the dragon, the second one too hefty (recycled that body shape for the roc), finally got the more dainty shape that was approved. The artwork was drawn and animated in Dpaint with a preset 256 color palette for everything, and saved for the game. One of the cool things with Dpaint and a set color palette was the ability to cycle colors (as in the phoenix and genie). We later got in a version of animator pro which had a beefier animation toolset." 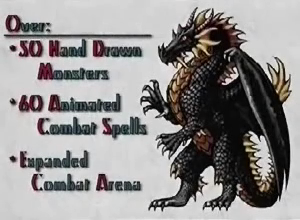 This static creature concept is also made by Tracy Iwata, like all other HoMM2 static concepts. I was successful in contacting Tracy and got the proof that the toad was really planned as a 2nd level for the Wizard castle lineup instead of the Boar. According to Acid Dragon, the administrator of the polish Acid Cave community, the toad was saved from an old Tracy's website which is now inaccessible. These concepts also belong to Tracy (see quote above). Unfortunately, the quality version of the picture is inaccessible - perhaps forever. 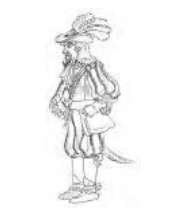 A stooping Pikeman Veteran, a too much massive Swordsman and an earlier version of the Crusader clearly show the intermediate stages of the concept creation. An interesting fact: the preliminary Crusader without the quality loss can be seen on one of the screenshots salvaged from the now-dead NWC site. We can see the stylish shoulders and weaker knees, with some other details. 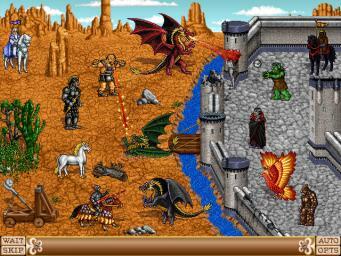 Also, a beta form of the Crusader with the red cloak can be seen on one of the promo screenshots (see below), probably as a legacy of HoMM1. 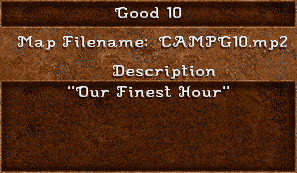 HoMM2 resources keep these pictures of the Ultimate Artifacts in the format of the adventure map ARTs. The final version of the game does not use them. Probably, these artifacts were once not considered as "true" Ultimate ones by the development team. 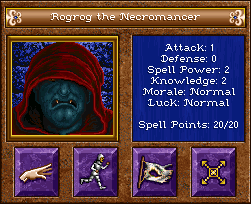 The HoMM2 manual keeps an earlier version of Brother Brax' portrait, with the hero being called Rogrog. The quality version is not accessible, but there isn't much sense in it, because the final version of the hero is looking much more badass with the hood on. Also, the promo screenshots from the NWC site provide us a small Rogrog icon without the color loss. As we can see, the difference between icons is very much noticeable, yet not so big that we would be able to have 2 separate heroes. Also we can notice the brighter gamma of the interface. 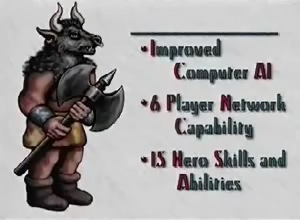 Heroes 2 Demo practically does not contain any interesting content. It might be due to the fact that the demo was produced on the final stages of the game development. The only difference with the game resources is this unusual grayscale sphere instead of the random hero. The demo does not have any map editor, so this icon was meant to remain unseen. These pictures are present in the Price of Loyalty resources, and serve as an intercalation between classic artifacts and PoL ones. Their purpose is unknown - probably, they are used to avoid some game restrictions. Some Heroes 2 data is organized in an unusual pattern, like faction hero addresses, where 6 heroes are followed by 6 corresponding captains. If we were to add a 7th faction - we would have to fill the 13th vacation instead of the 7th. 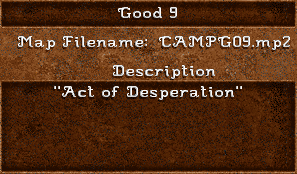 HoMM2 resources also contain a selection of strange icons which are done in 32x32. Most probably, they represent spell icon masks. 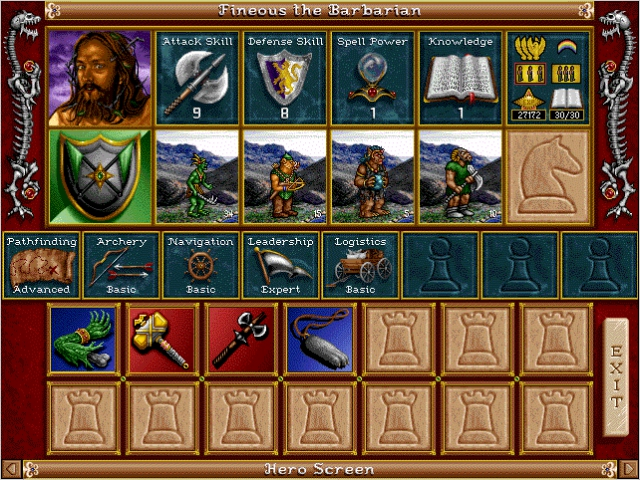 Here we can see several pictures from Heroes 1, with some from Heroes 2 in an earlier form. 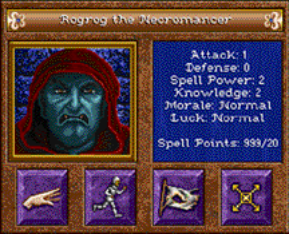 It is possible that the 32x32 restriction became later unnecessary, which allowed to upgrade the design for some spell icons, like Death Ripple. 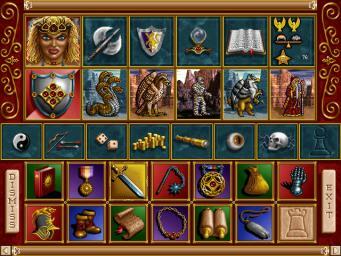 Some examples of HoMM1 graphics added to the game resource for unknown purpose. 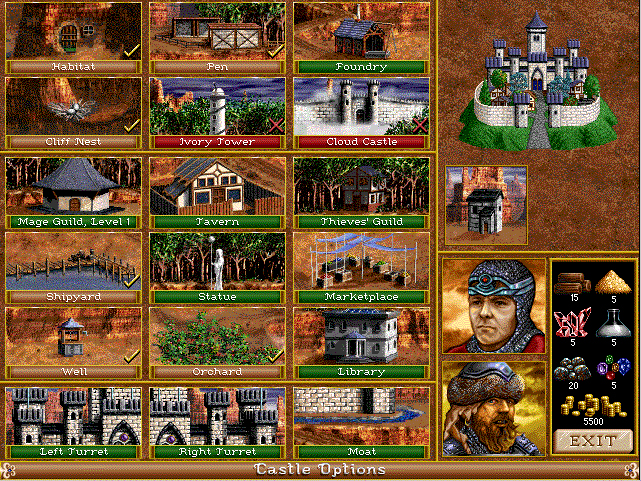 HoMM2 resources also contain the two versions of the Warlock's Mage Guild. 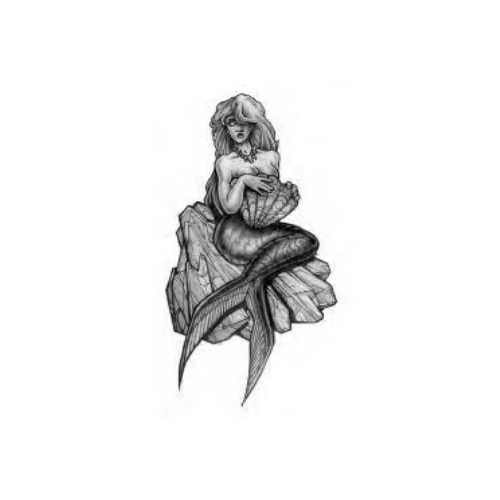 One of them is shown on some promo screenshots (see below) with the second one being used in the final release. What is notable, the community opinions on the better mage guild variants tend to differ. Perhaps the developers didn't like the perspective or the proportions - as we can see, there is a wrong shadow for the "alternative" guild. However, I must note that the "final" version of the guild is done obviously in a hurry, with a wrong shadow growth and an overall dim/faint look. 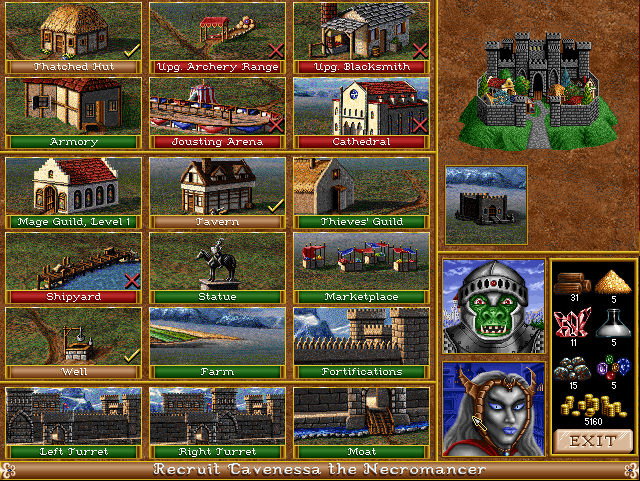 Some earlier releases of HoMM2, including the demo, contain one saved game named TUTORIAL. 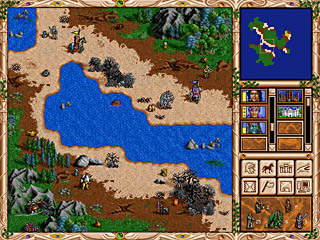 The map used in this saved game is not present in any of the Heroes 2 releases. The only notable fact about this map is that it contains a hero with the Alamar portrait, but with the name "Skoran". This strange item can be met in the earlier release of PoL (not Gold or Millenium). It replaces the Ultimate Staff and causes a graphical bug in the hero inventory because its transparency zone is not filled by anything. Strangely enough, this artifact is another incarnation of the head of the Legendary Scepter. 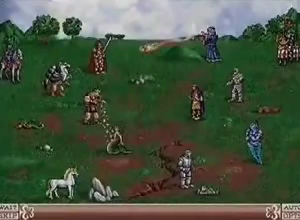 Age of Heroes website launched this prank which was later considered by some people as a true fact. The image depicts Val (Valeriy), the Heroes Community administrator. These objects were placed consciously by the skilled mapmakers, often with the use of hex-editing. Such maps, as the brilliant Ghost Planet 1.1 by Charles Watkins or Black Forest by Rich West demonstrate such objects. According to the HoMM2 changelog, the invisible mercury mines are also a bug which sometimes happens without the consent of the mapmaker. 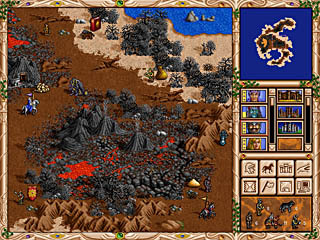 One such mine appears on the Heroes map in the earlier versions of the game. Players can notice it when the computer player "flags" it and the floating flag appears. Perhaps it's the rudiment of the earlier stages of the game development where the exterior of the mercury generator was not defined - right-clicking on the supposed place of the mine shows the popup info "Mercury Mine" instead of the "Alchemist's Lab". The TUTORIAL savegame mentioned above also turned out to contain a selection of unique names for the heroes of the Wizard and Necromancer classes, along with a few new heroes for the already existing ones. 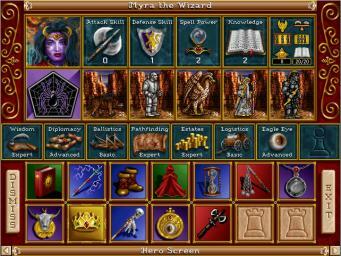 It seems that the names were later changed to satisfy the HoMM1 hero naming pattern, which considers references to the Might and Magic RPG series by New World Computing. Opening the campaign maps in the map editor also gives us a few map names which were later changed in the final release of the game. 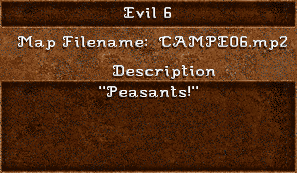 - scenario 6 of the Archibald's campaign: "Peasants!" 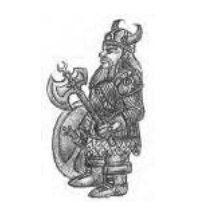 to "Rebellion"
- scenario 9 of the Roland's campaign, "Act of Desperation" to "Corlagon's Defence"
- scenario 10 of the Roland's campaign, "Our Finest Hour" to "Final Justice"
Moreover, the PoL campaigns' scenarios also have a little point of interest. Although they don't have any earlier names, some of them have brief descriptions later enhanced in the campaign interface. 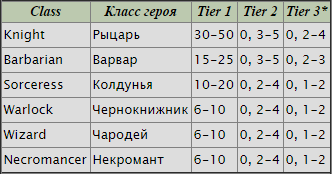 The campaigns named Descendants и Voyage Home possess the said descriptions written in the same style, with the Price of Loyalty not having any descriptions at all, except dry "Price o(O)f Loyalty" or "No Description" and the Wizard's Isle having a brief description only for the 3rd scenario (Power's End). We can only guess that the maps were done by entirely different people. Like in Heroes 1, heroes could have 3 stacks of creatures at start. The code left in the game not only allows, but also intends this. Those who desire to know more can visit the info page on handbookhmm.ru - there is a function which allows to google translate the entire page. 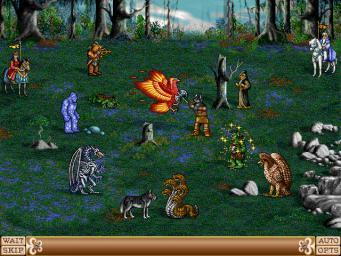 However, the final release of the game features 2 stacks of creatures like we are used to see in HoMM2. Probably, the 3 stacks feature was cancelled due to the balance calculations. Like in Heroes 1, heroes could have some extra morale modifiers. One of them is the Battle cowardice, having its value placed as a variable. However, there is only a line of text left in the game executable, with no extra info. It is possible that this "bonus" was planned to appear for those heroes who flee or surrender from battle, with the value being varied depending on the type of fleeing or the number of subsequent battle escapes/surrenders. Also it might have been planned to decrease after successful battle/battles. 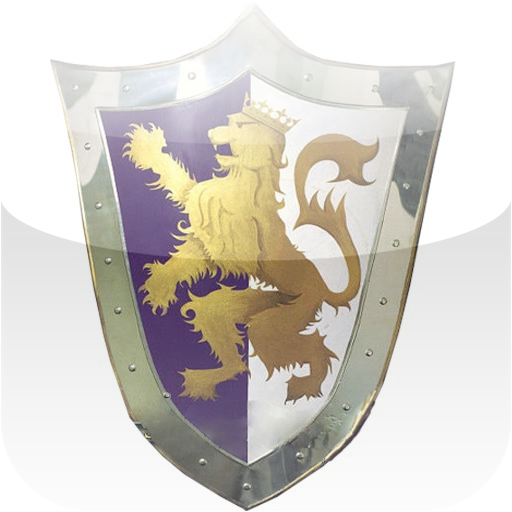 The other bonus is the Knight bonus, a rudiment of HoMM1 development which was anyway implemented in HoMM2 as the starting Leadeship secondary skill for all Knight heroes. Nevertheless, the additional line of text still exists in the game, yet unused. 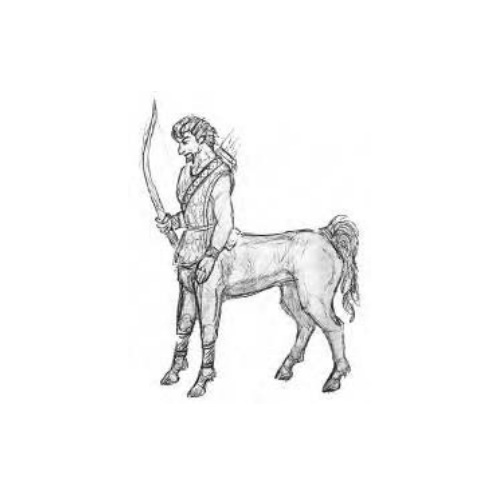 The history saved a little amount of pencil-drawn concepts and even less colored concepts of HoMM2 creatures. 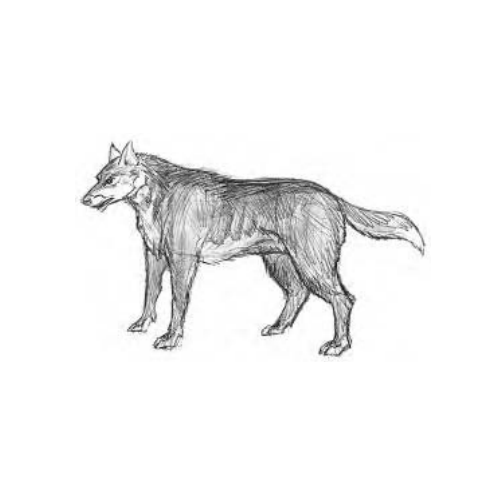 The creatures can be easily recognized. These concepts are looking more varied, but still recognizable. 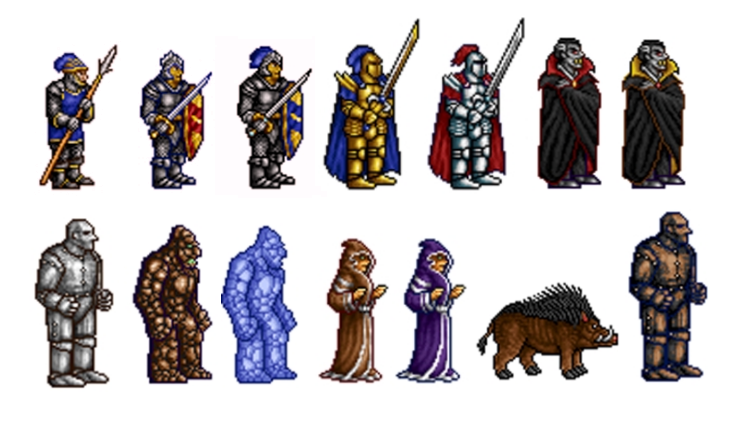 Fine colored concepts which nicely mirror their pixel-painted brothers and also anticipate their HoMM3 creature analogs. 2.4. 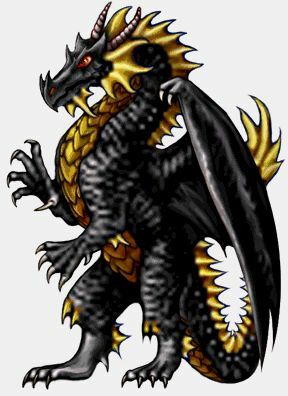 A colored concept of a Black Dragon from the old Czech gaming zine "Score". This section features all promo screenshots which are available in the Internet on the August, 2014. Unfortunately, I must admit to say that if it was 2004, we would be able to find much more. 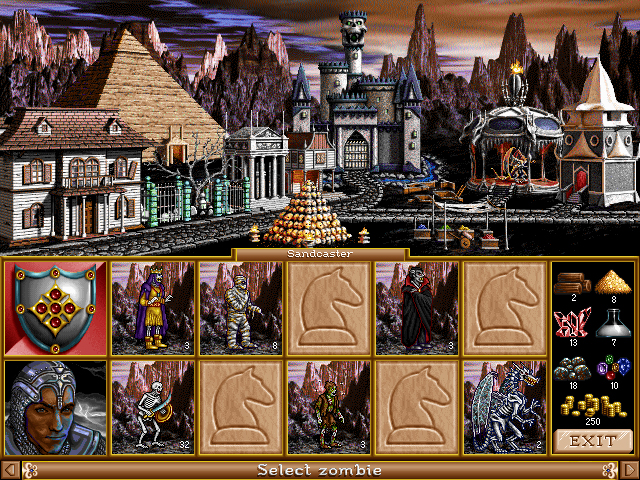 This selection of images demonstrated probably one of the earlier stages of HoMM2 creation. 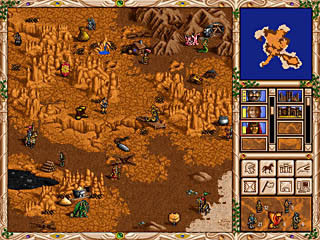 A big amount of placeholder icons (featuring Yog and lacking the mana pool), a brighter interface gamma, creatures are turned right and left at the same time, pickable items are placed without any regard to the map grid (with the ones on the left screen also being smaller), digholes from H1 near the ones from H2, H1 genie lamp, Magic Book as a separate artifact on the picture in the middle, an empty mine trolley also there. The lower screenshot also demonstrates an interesting Hydra standing in the middle of the Troll Bridge as if it passable through. Here we can see crosses and ticks, very randomly placed. 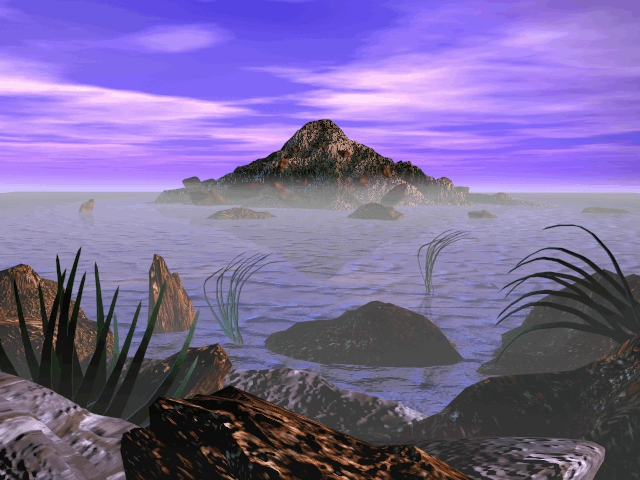 Also, an older background for Maximus, obviously taken from the same landscape generator scene which was used for the neutral creature backgrounds can be also seen, along with the old Exit button from Heroes 1. 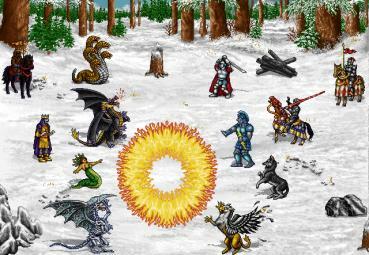 One of the images shows the Crusader with a red cloak and the Mage with a blue robe; besides, all magi on the pictures shoot in a very strange way (the missile is the Fire Ball spell icon from HoMM1). Also, the siege screen shows strange rock obstacles partially made from the adventure map objects and another picture shows the explosion, which is in fact made of the HoMM1 Fire Blast spell animation. 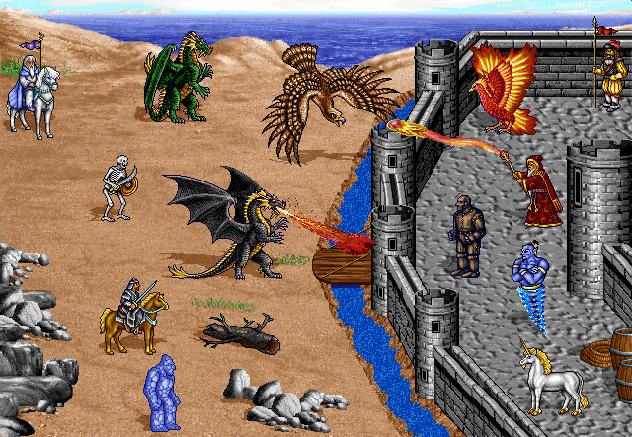 Moreover, the siege screen also shows the earlier design of the Water Elemental and the strange battle background showing the sea (with the sand dunes fixed later), with the sieged castle being a cheap recolored and slightly varied clone of one of the HoMM1 castles. Not even mentioning the lack of the creature amounts. 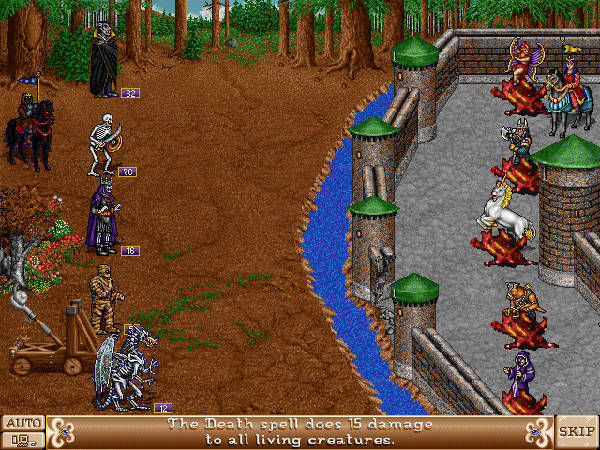 Here we can also see the unfamiliar battle map obstacles, a selection of creatures moving simultaneously and the same sacramental "Wait" button. 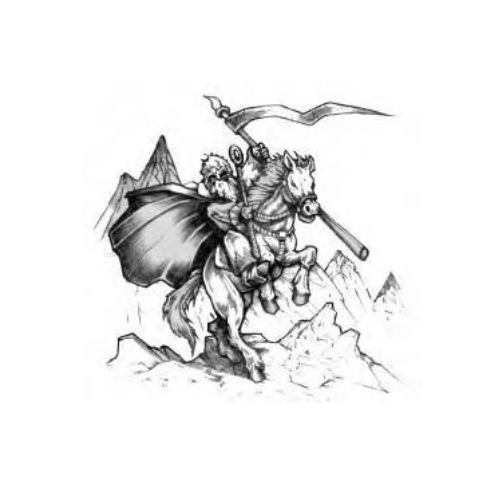 This case is even more interesting - the same artwork was once varied and became widespread in the Internet in two forms: one with an old HoMM1 interface, and the other with the beta HoMM2 interface. Also, the Orc changes position and the Troll is being buffed with the Cure spell (for whatever reason). Also strange rocks can be seen. A proof of the fact that some heroes were once planned to enter different classes. So, Jezebel is named Myra which is also somewhat logical due to her dress (not so barbarian) and the face (more like of a Genie/Efreet kind). 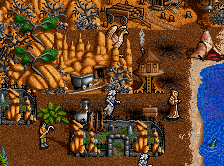 Also many graphical assets are shown in earlier variants. 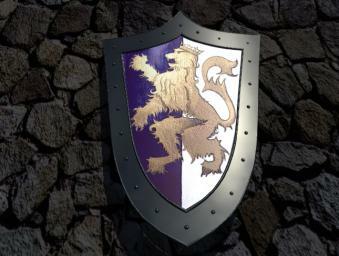 These are the Warlock castle, the King of Dragons and the typical Ironfist herald shield. 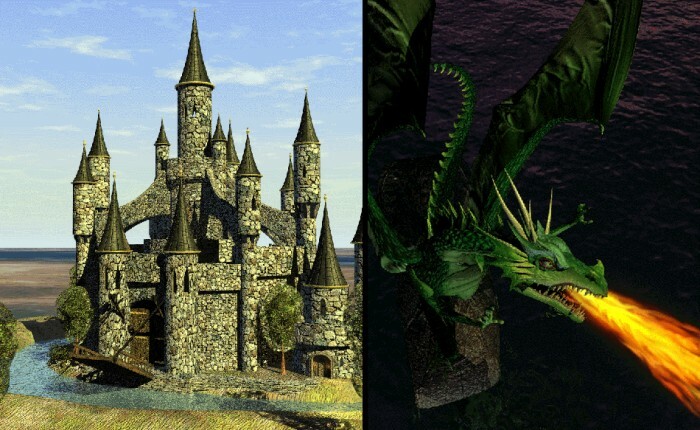 The latter two, for example can be seen in another perspective in the Archibald's cutscene after winning the scenario "King of Dragons". Two of the most widely known promo screenshots from the NWC site. They look like final, but it's not that way. I have made in-game screenshots replicating the same windows, and the animations presented show that a real lot of assets were later fixed for the final release. 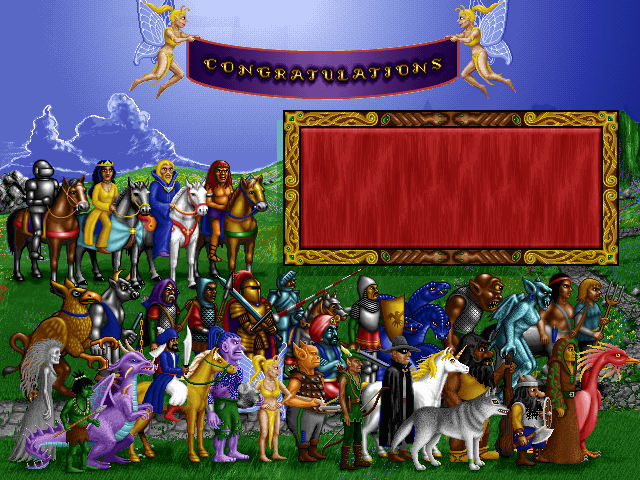 For some reason, the Ultimate Artifact special frame from HoMM1 was removed. Also, we can see the earlier version of the Crusader with the interesting shoulder plates mentioned above. 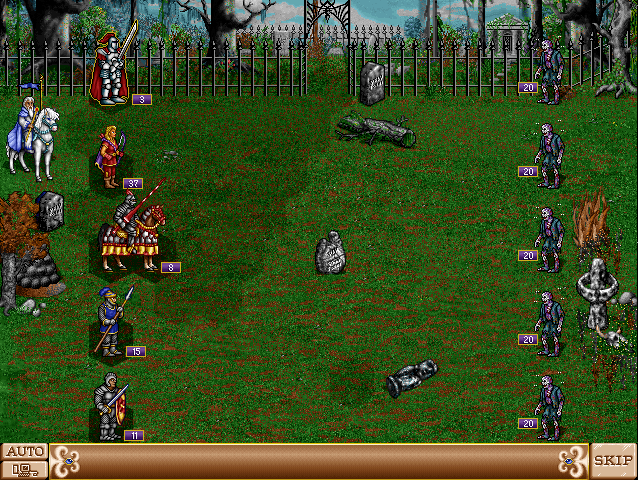 Obviously, a screenshot from already functional version of the game. 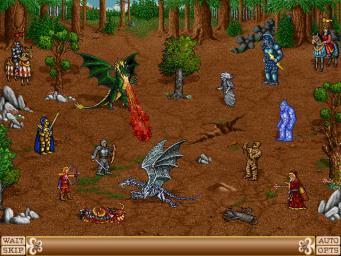 This is the most widely known and spread "screenshot" of HoMM2 in the Internet. 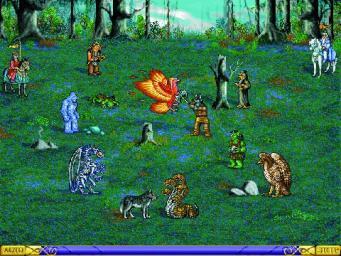 Here we can see the same Rogrog's minimized portrait, the beta-version of the game interface with lots of orange color tones, the same creatures turned both left and right, and the same items placed without regards to the map editor grid. The trick with the simultaneously moving heroes is also present. Besides, we can see some map objects which are overlapping (while the final version of HoMM2 editor usually does not allow such things) and of course, the discrepancy of the image and the minimap is also present, unline promo screenshots shown in 3.1. These pictures were also often used as promo screenshots on various CD covers. The Knight townscreen demonstrated the red flags on the castle, definitely a HoMM1 legacy where Lord Ironfist's forces had a red flag. 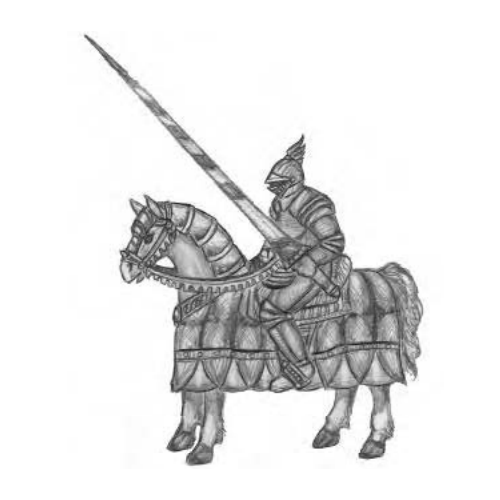 Also, it might be related to the possible fact that the upgraded forms of the Knight creatures were once intented to be red, which is also corresponded by the red dwelling of the upgraded Archer (the Ranger). However, the main mystery of this image is definitely an unknown building with a road leading to it. It's not a Thieves Guild, because its edge can be also seen on the left. Warlock's beta townscreen shows the already mentioned "alternative" Mage Guild (yet, with a correct shadow), and what is more fascinating - the correct shape of the Centaur waterfall. If we look at it in the final version, we will be able to see that the layers are superposed wrong! For some reason, the beta version of the townscreen is more correct than the final one. and the whole Russian DF2 community for such topic as "Museum of the M&M universe". If someone has something to add or fix, feel free to shoot a comment here. A Polish version of the Museum translated by Jaskinie Behemota crew. Thank you for that. I still think we may try poking around with these objects sometime. I cannot recognise last image. Which campaign does it come from? Was it in the final release? Have you ever wondered how does exactly battle on Graveyard should look like? Looks good. Maybe we can use it in the mod? The only clue, though, is left on the official map "Dominion", which is actually not fan-made and is included in the official PoL release. 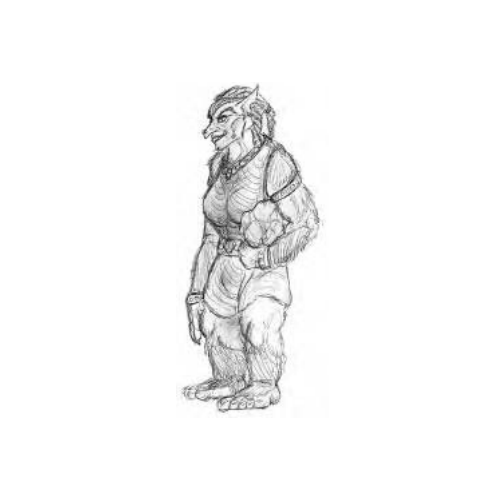 A hero named Anduran and having this portrait is placed in one of the prisons on the adventure map. Remove the info about "Dominion" map. 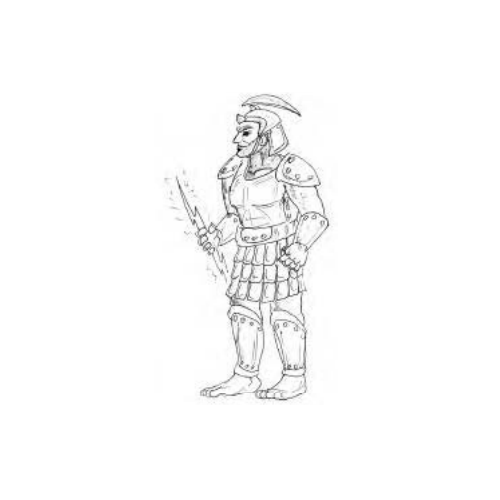 The imprisoned hero called Anduran has Sir Gallant portrait.